Mehu was the Vizier, the chief of the judge and the director of the palace, Mehu's son, Meren Ra, and his grandson, Heteb Kha, was also buried here around 2300 BCE. Although the site was discovered by Egyptologist, Zaki Saad, already in 1940, Egypt hopes that by inviting members of the public to explore the chambers it will draw more tourists to the region. 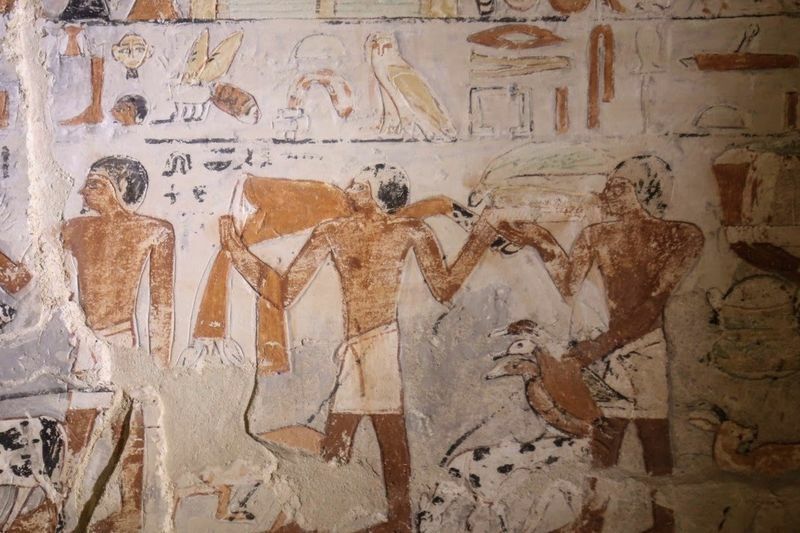 The walls of the tomb are brightly decorated with well-preserved paintings, these paintings depict the everyday scenes of that era such as metalworking, fishing and how life with wildlife lived together in harmony.